CoffeeCup Form Builder is a straightforward program with minimal learning required. As long as your web host supports PHP, you can create complex web forms with the help of this simple drag-and-drop interface. Unlike certain form builders, CoffeeCup caters well to a wide range of users. Beginners get a simple, easy-to-use interface that allows them to create and publish forms without any programming knowledge. However, more advanced users also have the ability to customize their forms further with the help of split-screen and cross-browser previews of raw code. CoffeeCup Form Builder is a straightforward program with minimal learning required. 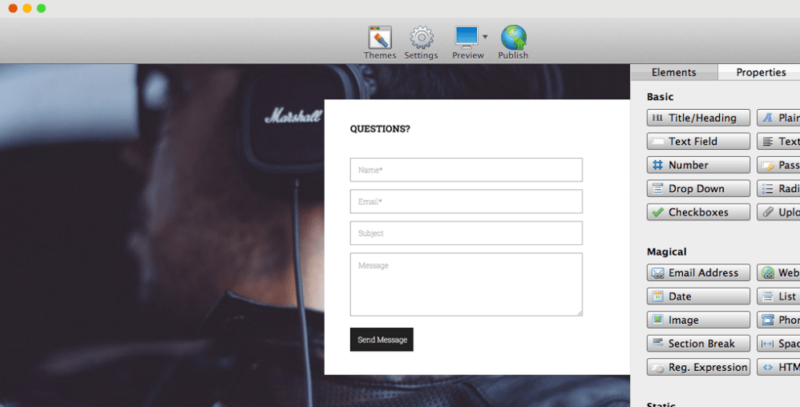 As long as your web host supports PHP, you can create complex web forms with the help of this simple drag-and-drop interface. Put in checkboxes, radio buttons, text fields, drop-down lists, or even fields for payment details: you can customize your form however you’d like and control how it looks to your users. The free Lite version is sufficient for most users, though additional features are available with the higher-tiered plans. Unlike certain form builders, CoffeeCup caters well to a wide range of users. Beginners get a simple, easy-to-use interface that allows them to create and publish forms without any programming knowledge. However, more advanced users also have the ability to customize their forms further: the software allows split-screen and up to 11 cross-browser previews of raw code, so users can test and edit their forms in multiple formats. Want to know if CoffeeCup is right for you? You can easily create a form from a template by choosing File>New From Template. Template Selection: There are approximately 2 dozen templates, ranging from the the most basic/essential forms, through to eCommerce forms. All templates are very cleanly designed and easy to use. Customization: You can customize the individual templates to your heart’s content. The Lite version comes with a dozen quirky themes to help you get your form noticed/filled out. More are available for purchase or are included with the paid version. 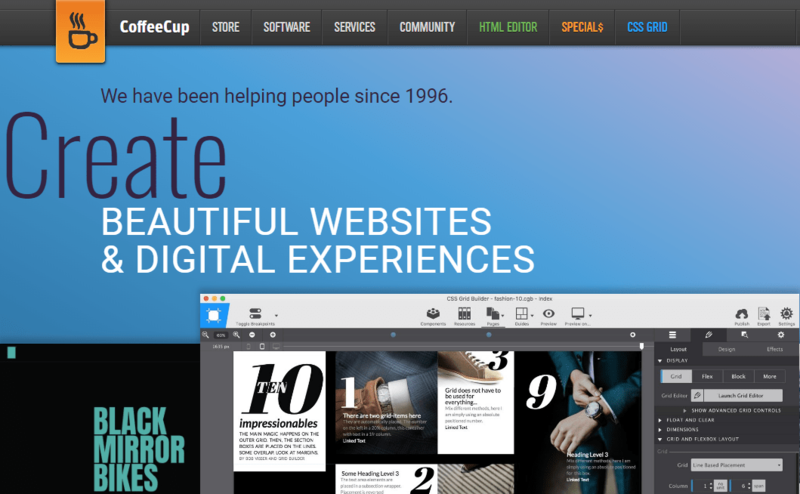 CoffeeCup comes with a good amount of features, even at the Lite level, to help you quickly build incredible forms. When you come to creating a form you can access all the tools and features down the right hand-side of the screen, all broken down into well-thought out categories. The higher the tier plan, the more features will become available, but most users will find the free version good enough. If you are a beginner then the first thing you want to see is an easy to use interface, clutter free and with minimal tools and features to help you build a form . Luckily, CoffeeCup handles this area really well and makes creating and publishing forms a piece of cake. Downloading and installing the app is quite easy, but a separate step is required to configure/create your S-Drive. The S-Drive website itself is easy to use and manage. The best part is the intuitive interface which makes it a perfect choice for beginners. And if you’re someone with more coding skills under your belt- then you have plenty of opportunity to take your forms to the next level! 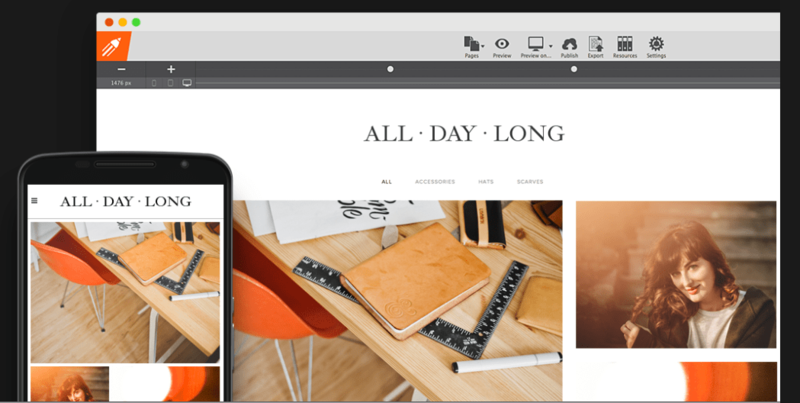 With multiple ways of viewing your work including Split-screen and up to 11 cross-browser previews- you will really be prepared for any format by the time you publish your site. CoffeeCup is one of the few providers to offer toll-free support to all of their users. On top of that, they encourage users to get priority support from their Support Room, where they promise to answer within 24 hours. An extensive knowledgebase has a variety of articles as well as tips and tricks. CoffeeCup has a blog with all the latest news, and there is also a forum where they encourage suggestions for features and products. A 63-page user guide for the Builder is included with download/purchase. Pricing for CoffeeCup is multi-faceted. On the one hand you have the Web Form Builder which is a pricey after a 2-week trial, that includes the form builder along with a variety of other tools for PC users, and a Lite version which is free. Then, you have S-Drive, which is kind of essential if you don’t want to upload everything manually to your own website. While the software is good, coupling it with the S-Drive fees can give you a real advantage over your competitors. There is a 30 day money-back guarantee and a 2 weeks free trial, so there is really nothing to lose. CoffeeCup is a tantalizing brew of software and service, with a couple of caveats in terms of pricing. It’s costly for the builder unless you can get by with the Lite version. However, you barely have any form usage/storage with the Free plan. Power users with their own servers might best take advantage of the Lite plan, but upgrading to any one of the premium versions will give you fully featured forms, providing good value for your money. Click here to try CoffeeCup.